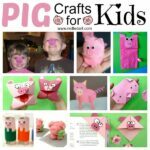 We haven’t shared a super duper easy Origami Kids Project for a little while.. having recently pulled together our Origami for Preschoolers subsection, as well as our Educational Benefits of Origami, I thought it would be nice to have a go at a new project! 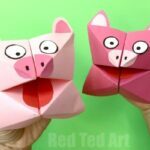 Today we share the super easy Origami Pig Face. 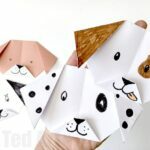 Similar to the oh so popular Origami Dog for Preschool, this is a nice and easy basic folds origami project that young kids can quickly learn and hopefully enjoy! 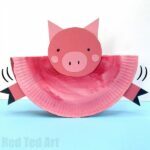 We love easy Pig Crafts for Kids.. and this little Piggy would make a great addition to any 3 Little Pigs Fairy Tale Craft or even Chinese New Year and the Year of the Pig 2019!!! 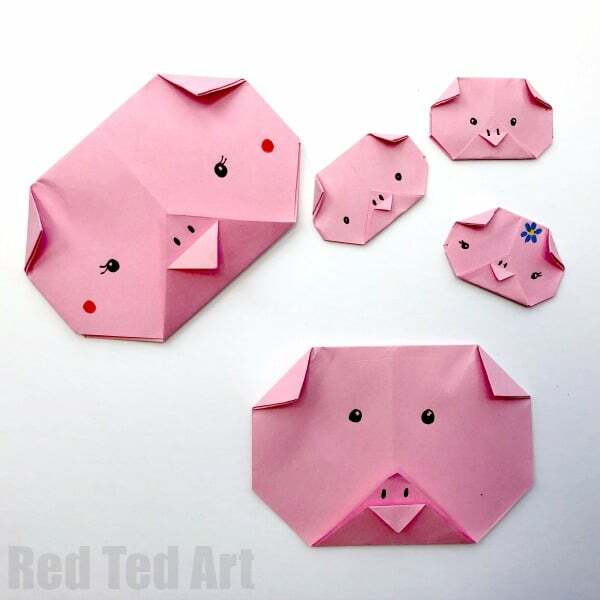 You can watch our Origami Pig YouTube video or learn how to make an origami pig head with the step by step instructions below! 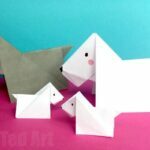 Begin by folding two diagonals on your square piece of paper – open up. 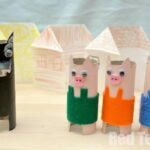 You should have a cross running across the square. 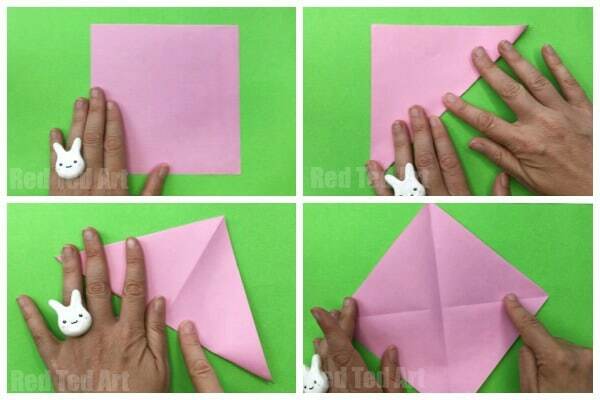 Move the paper so you have a “diamon” with a straight line running down the middle. Bring the right hand point into the middle. 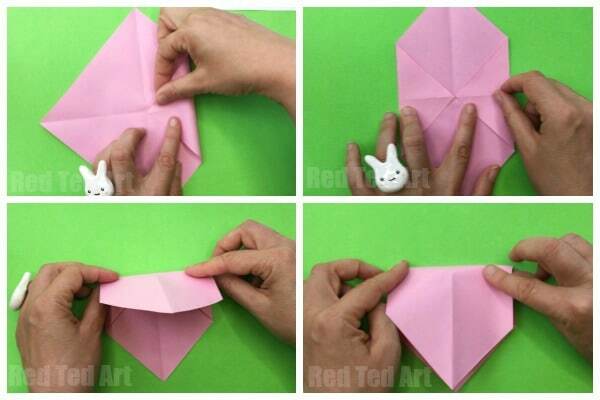 Now fold the Origami in from top down to the bottom (along the middle fold). 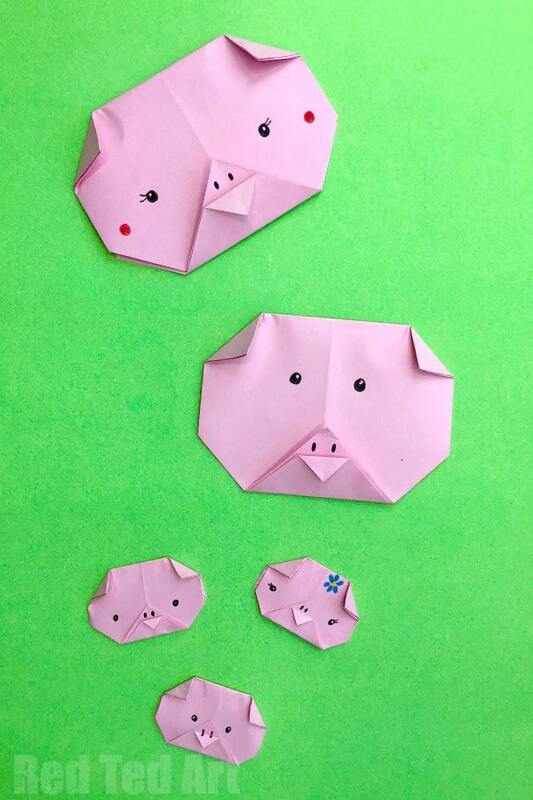 Now it is time to fold the Paper Piggies ears and mouth piece. 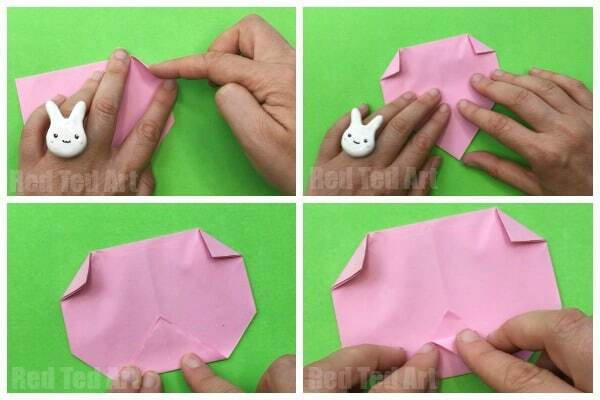 Fold down the top right hand corner to make an ear. Repeat with the left hand corner. 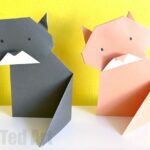 Fold up the bottom towards the centre of the face for the mouth piece. 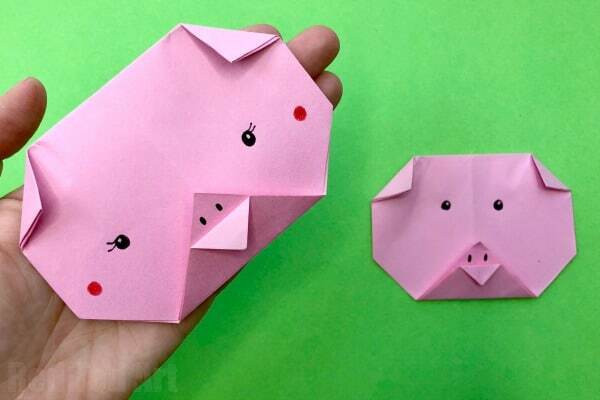 Take one piece of double folded paper and fold down for the “snout”. Finally with a pen add facial features! 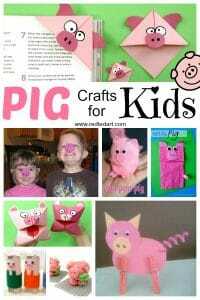 Thank you for the little pig face. 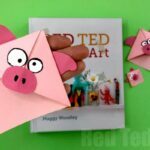 Wonderful and simple for my toddler time session.